With mangoes aplenty around me, making Raw Mango Rasam turned out to be not only interesting but also soul refreshing. Savour it soon! 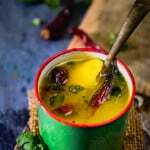 Here is how to make Raw Mango Rasam Recipe. In Tamil, Rasam means “juice”. However, in layman terms, Rasam refers to a spicy soup made using tamarind or tomato juice. This South Indian delicacy is usually served as a drink or a soup as well. Along with tamarind juice, for the tempering usually, curry leaves, mustard seeds, dry red chillies, heeng are used to lend an inviting flavour to the rasam. But as it was summer, I thought of preparing Raw Mango Rasam. With mangoes aplenty around me, making Raw Mango Rasam turned out to be not only interesting but also soul refreshing! These days, ready-made Rasam Masala is also available in the market, however, I have always cherished the idea of preparing fresh masalas for required dishes at home just as I did for Bisi Bele Bhaat Masala some time back. 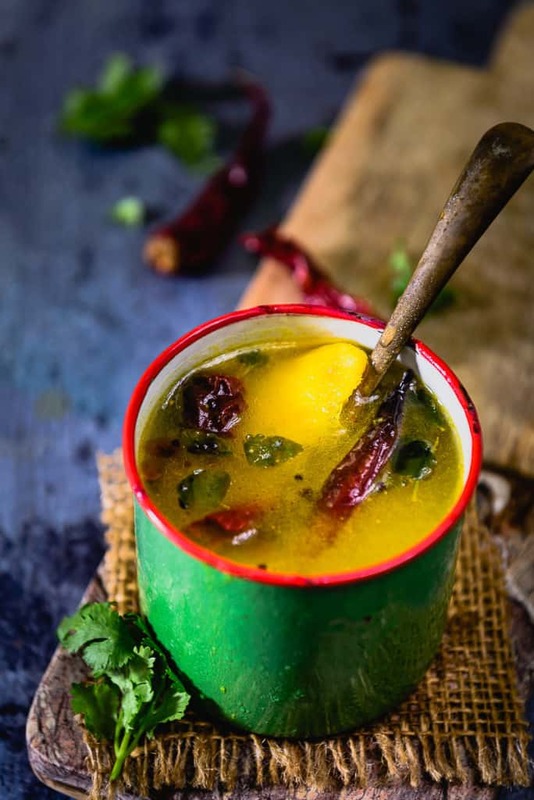 By using homemade masala for Mango Rasam, I not only felt satisfied for its quality but I felt good for retaining its authentic taste as well. On the top of that, the use of choicest raw mangoes for preparing this Rasam, gave it a nice, tangy flavour which tamarind couldn’t replace! With mangoes aplenty around me, making Raw Mango Rasam turned out to be not only interesting but also soul refreshing. Savour it soon! Wash the mangoes and make slits in them using a knife. Heat 3 cups of water in a pan. Add the mangoes in the pan and cover and cook until softened. Remove the pan from heat and let the mangoes and water cool. Mash the mangoes using your hands and discard the skin. Add green chilli, turmeric powder, salt and jaggery to the mango pulp and bring the mixture to a boil. Rasam should be watery in consistency. Simmer the rasam for 3-4 minutes. Once the oil is hot, add heeng, mustard seeds, dry red chillies and curry leaves and let them splutter for a few seconds. Pour the tempering over the rasam. 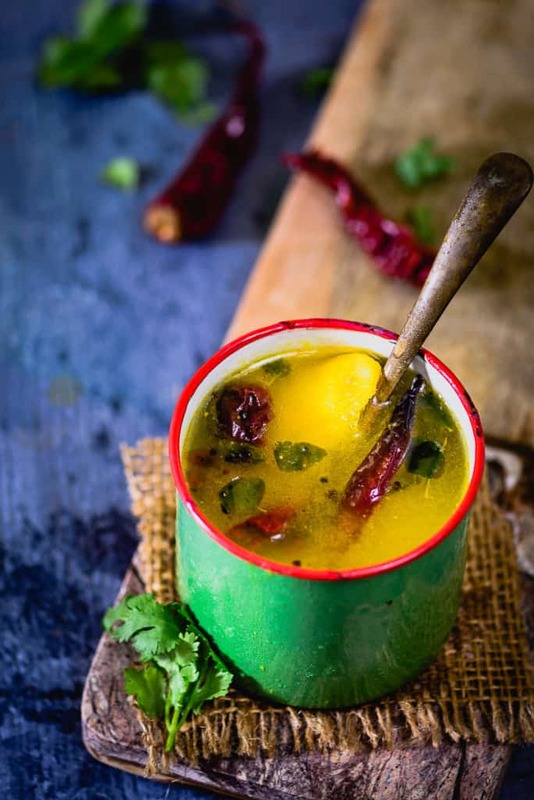 Serve rasam hot with steamed rice or as a beverage.